With March now behind us we’re kick starting April with a fresh update for you all. I hope you weren’t all subject to too many April Fools! For those of you who have been using our new DHL integration this may not come as news but to the rest of you, our DHL integration is now up and running! As with all our integrations, if you want to set up one with DHL you will need to head over to “Settings“->”Integration Manager“->”+New Integration“. For further help on setting up an integration for DHL, please see our knowledge base – 01. 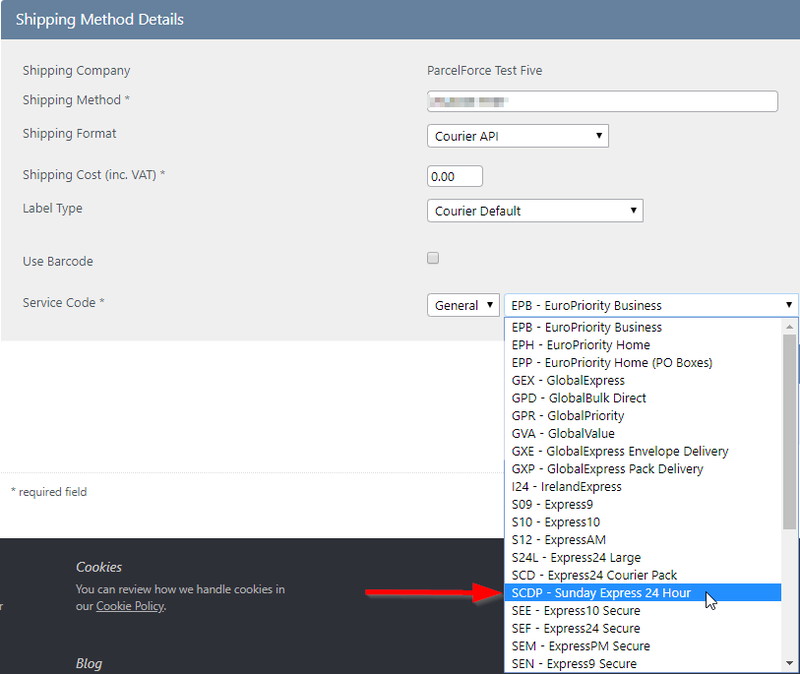 Integrating with DHL Express. WooCommerce gets some more treatment this update with changes to URL slug settings within StoreFeeder. Previously the slug within a WooCommerce listing URL was, by default, the product SKU. This however, was not very effective for website SEO so we have now added a feature that allows you to choose what we generate the URL slug from. Don’t forget to save any settings you change by hitting the save button at the bottom of the page! We’ve added an additional log to the “Users” page that shows what time they last logged on, this is a useful addition to this page for a plethora of reasons. You can find the time last logged in under the “Last Logged In” column next to the date which the user last logged in on. I hope you all had a successful February and that you managed to spend some well earned time outdoors during the record breaking hottest February day we were treated to! Now as we march on, already nearly finished with March, we find ourselves with some new features and bug fixes for you all. One for our app users – there’s been some excellent work done recently; app testers will now be able to carry out blind stock takes. The Stock Take screen, accessed from the main menu, is a new feature allowing blind stock takes to be performed. Start by selecting a warehouse and optional zone that you wish to check. A random product & location is displayed and you enter the quantity you have physically counted. Click Save to get the next random location and product. This will continue until all products in all locations for that warehouse/zone have been counted. When a location and product is displayed for a user, it is marked as such in the system, meaning this will not appear for other users. You can leave the stock take at any time by clicking the back arrow in the toolbar. 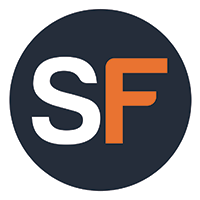 Once a quantity has been submitted for a stock take, the inventory quantity WILL NOT be updated on StoreFeeder until the stock take has been approved via the new Stock Take Approvals page of the StoreFeeder website (under Warehouse -> Stock Locations -> Stock Take Approval). Initially we have given all admins access to this page but permissions can be managed in the usual way. This displays a list of all the stock takes that have been submitted and they can be approved or rejected. Only stock takes that are approved will result in the inventory quantity being changed accordingly based on the submitted quantity. Historical stock takes and the related approval choice can be viewed via Reports -> Products -> Stock Take Approvals Report. Previously the only way to delete variants on your eBay channel was to delete the products within StoreFeeder. This is now no longer the case, there is now an option to remove out of stock variations through StoreFeeder without having to lose the product’s historical data. The option to do this can be found on the eBay Listing Details page for the product you wish to carry this out on. You’ll notice there is now a switch titled “Remove out of stock variants”. As you can see from the picture above the label states “Remove unchecked”. This is because you will have to uncheck the boxes to the left of the variants you want to be monitored. This gives you a bit more control over what gets deleted and what doesn’t. When you click ‘Save & Upload’ if this switch is turned ‘on’ out of stock variants will be deleted from your eBay channel for that product. Over on the Listings Overview page (via the Listings drop down menu) we have added the ability to see the price of each of your listings across multiple channels. 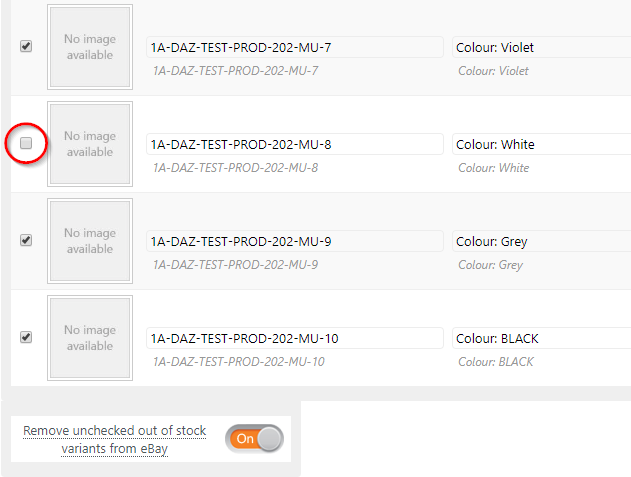 This is a useful addition to our purchase order feature as it allows you to send additional information to your suppliers (such as graphic designs). 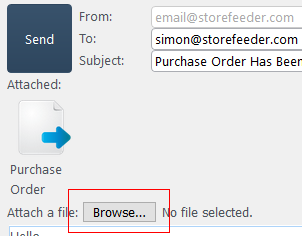 Now when sending a purchase order on the Purchase Orders Overview page (via Products -> Purchase Orders) you will be presented with the option to attach a file (maximum size 2.8 MB). Previously only admins could assign pickwaves to applicable pickers. With this latest update, all users can now assign pickwaves to the other pickers. This is done in the same way you would usually assign a picker to a pickwave, no changes have been made there.